By now you’ve probably heard all about Nashville resident Jacob Waddell’s now infamous catfish throwing and subsequent charges (dropped yesterday!) in Pittsburgh on Monday night. While the Predators did not win Game 1, they did roar back from a three-goal deficit to tie the game after the fish hit the ice. Game 2 … also happened 😒😒😒. The only good thing we can say is that Game 3 is at 7 p.m. Saturday night in Smashville! The ThreatDown meter reads “Bears!” Our furry friends to the east have started showing up with greater frequency in the Cumberland Plateau region. Seriously y’all, lock your parked cars and do not leave valuables in sight. Go on ahead and get your “You’re So Nashville If” entries together. D. Patrick Rogers has compiled a list of topics you can safely avoid, since they are way too obvious. If you are the parent of a driving-age teen, MNPD is offering a classroom-based training course instructed by officers. “How to get out of a ticket” is not in the curriculum. 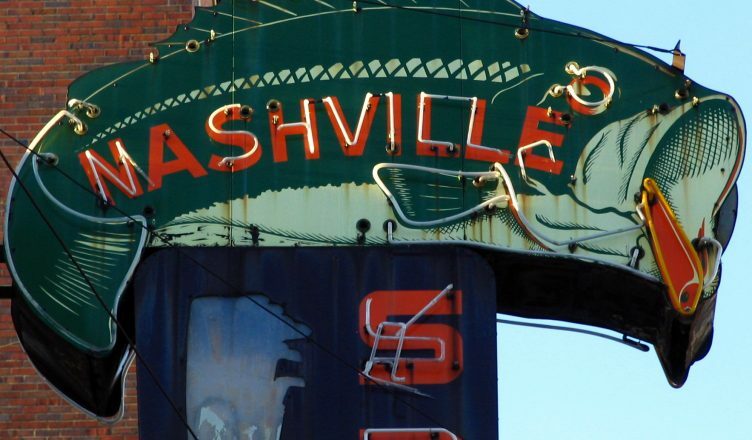 The Nashville MTA is proposing reduced bus fares, including the anticipated free transfers. A bomb threat at Vanderbilt University over the Memorial Day weekend was one of several sent from around the United States, and deemed not credible. Meet the young lady from Franklin who learns 100 new words a day to compete in the Spelling Bee. Meanwhile, this author can’t spell “definitely” correctly on the first try. An alleged carjacker shot at police and then set the Corvette he stole on fire in Nashville. Somebody spent wayyyy too much time playing Grand Theft Auto. The city has selected a developer for the Greer Stadium property. The adopted plan includes 294 affordable housing units and 200,000 square feet of retail/creative space.